Security is of top priority when it comes to protecting any domestic or business premises, which is why we take it so seriously here at G&R Electrical Wholesalers. We offer full design services utilising the latest technology on any size security project, and we’re happy to help integrate our CCTV systems too, giving you or your client complete peace of mind. Our specialist local security installers only use top quality products from our extensive range to ensure a smooth system installation, and one which will require very little maintenance in the future too. If you need help with any security installation, don’t hesitate to get in touch with us by phone or e-mail – we’ll get you on the right track. G&R Electrical Wholesalers deal with a broad range of security systems and installations to cater to customers across various areas in Devon, Cornwall, and the South West region, providing security systems Plymouth know meet our highest quality standards at competitive prices. We keep our finger on the pulse when it comes to alarm system equipment to make sure that the security of your office or domestic installation is always to the highest standard. We have a team of expert engineers with an eye for detail, thus delivering stunning installation services in the South West region. Our company is famous for having the highest quality security systems Plymouth demands with products from the biggest brands, meaning you are assured a safe and comfortable environment once any of our security systems are in place. Our core values of quality and excellence have allowed us to acquire one of the leading positions in the industry. Why Invest In The Security Systems Plymouth Trusts? In today’s world, safety and security have become not just important but fundamental considerations. G&R Electrical Wholesalers offers a detailed knowledge of strategy and the security systems Plymouth deserves to make sure that our clients get the complete package of safety and confidence. With our advanced security system design we make sure that the threats and risks are minimised and we have a simple philosophy: your protection is our responsibility. 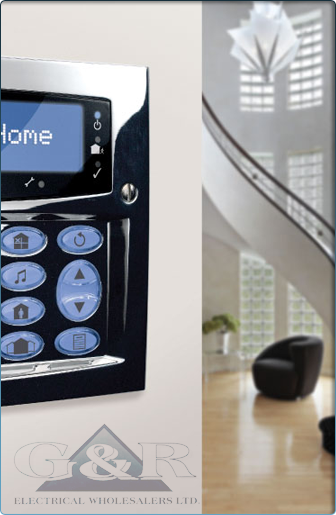 We are proud of our innovative security products and we work in conjunction with some of the most cutting-edge technology, providing both wired and wireless products to suit your requirements. With our services, you don’t have to worry about potential security threats to your business – and if you’re looking for help with an installation as an electrical contractor, we’ve got you covered too. We are committed to provide highest quality products and installation services to our clients at the most competitive prices. We offer fire alarm systems, CCTV cameras, access control systems, and other security devices to keep your business or your client safe, while we subject all of our processes to internal quality checks, ensuring that the products and services that are delivered to you are up to scratch every time. Our goal is to achieve total client satisfaction whilst achieving your budget and working to your tight schedule. Our returning clients are often based Redruth as well as throughout Devon, Cornwall and the South West region – we are a well-known, trusted brand in these areas, providing customised and high-tech security systems Plymouth for domestic buildings, small offices and large industrial locations. If you are looking for installation of devices for security and surveillance, we are here to help you. Our mission is to offer the best equipment and advice available in the South West, so please don’t hesitate to get in touch with us to discuss how we can help you achieve your goals.